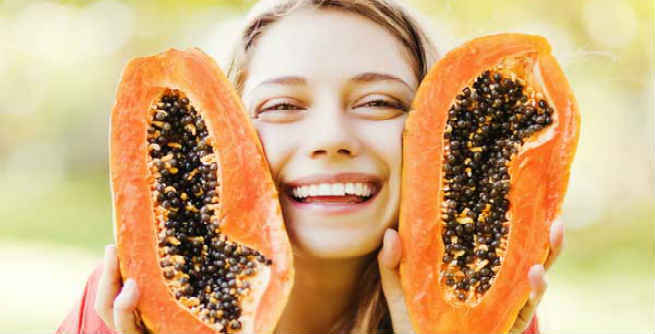 Take a fresh raw papaya, grate it nicely and apply it all over your face evenly. Let the fruit work for 10 minutes and then, rinse with plain water. You can also use ripe papaya instead of the raw one. Just mash it or scoop out the pulp and massage your facial skin. After 20 minutes or so, wash the dried pack off. This face pack is highly beneficial for dry-skinned beauties. Take out a medium-sized slice of a ripe papaya. Reduce it to smooth pulp. Pour 1 tablespoon of raw organic honey into it and blend well. Now, spread the paste all over your skin. You can also massage your face gently with it by using your fingertips. Wash away after 15 to 20 minutes. Prepare an effective face pack by mixing 2 tablespoons of fresh aloe vera gel with 4 tablespoons of smashed ripe papaya. It should form a smooth paste of medium consistency. Cover your entire face and neck with it and wait for 20 minutes. Then, rinse off. Gram flour is always available in our kitchen and it can also be used as an active ingredient in our papaya face pack. Mash a few pieces of raw papaya in a small bowl and add a couple of tablespoons of gram flour to it. Combine properly to get a thick paste with no lump in it. Massage your facial skin with it gently. After 20 minutes, wash off with lukewarm water. If you have an oily skin, go for this amazing papaya face pack made of 3 tablespoons of fresh ripe papaya pulp, 2 tablespoons of raw organic honey and 1 tablespoons of fresh lemon juice. 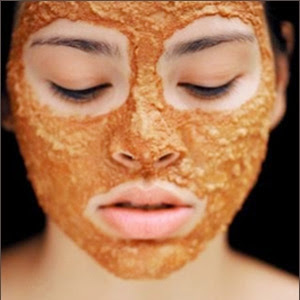 Leave the mixture on your skin for 15 to 20 minutes and then rinse off. You can also prepare a face pack by blending 3 teaspoons of fresh milk and 2 teaspoons of organic honey with 4 teaspoons of papaya pulp. Once it turns into a soft and smooth mixture, spread it over your skin uniformly. Let it dry. Then, rinse with plain water after 15 to 20 minutes. Take 2 tablespoons of papaya pulp in a small bowl. Add 2 tablespoons of mashed ripe avocado and 2 tablespoons of olive oil to it. Mix well with the help of a spoon. Apply the paste onto your skin and allow it to dry. After half an hour, wash your face with fresh cold water. Instead of combining honey and aloe gel separately with papaya, you can mix all three together to come up with a skin brightening face pack. Take 2 tablespoons of mashed ripe papaya in a bowl. Add 1 tablespoon of fresh aloe vera gel and 1 tablespoon of raw honey to it. Blend well and apply all over the skin. Once it gets dried, wash off with lukewarm water. 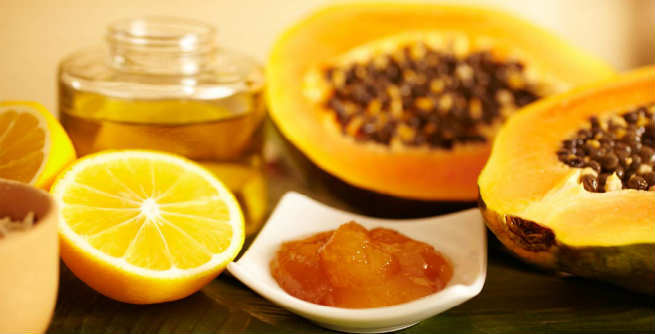 Try any of these 8 papaya face packs at home and get glowing!